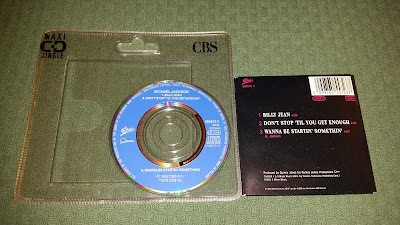 OMG, how I love this mini cd! The wonderful picture sleeve shows Michael live on the Bad Tour, and the 3''cd includes 3 of the greatest Michael's hits (Billie Jean, Don't stop 'til you get enough & Wanna be startin'somethin'). 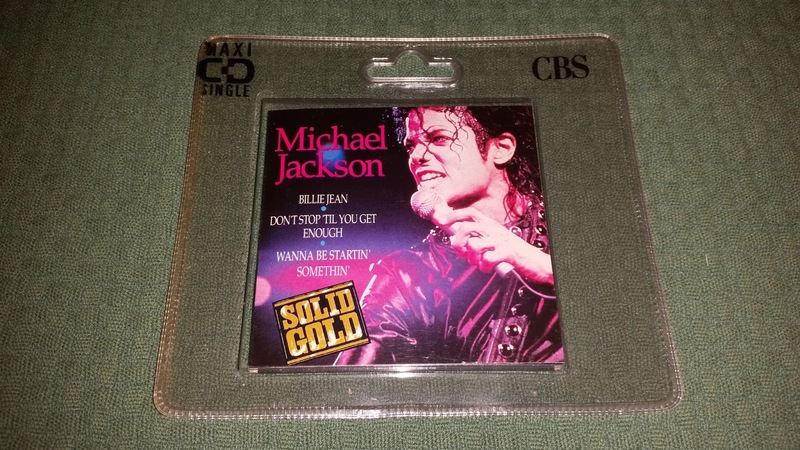 This was released in 1988 by Epic, and it's a part of the "Solid gold" 3''single series made for all the most important artists on Epic label (among these, George Michael and Terence Trent D'arby got a "Solid gold" 3'' too). 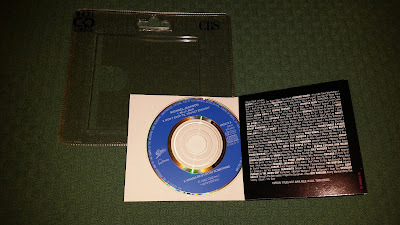 Several years ago, before internet and the auctions online, this was a "something-to-die-for" item. Now, it's not that rare item you have to follow for ages, and with just a little bit of patience you can easily add it to your collection. I remember I bought this cd in a record fair in Milan and, at the time, it was one of the best purchases I made in that fair. Probably today it wouldn't be the same, but let me say one thing:after all these years, its beauty remains intact!